C programming is the root or foundation for any one who wants to master Computer Programming. Learning C in a comprehensive manner is very essential for every software industry, but things can only be interesting when words are not jargon and every piece of code is explained in a detailed manner, and that’s what this course is all about. Meet the most comprehensive online C programming course and C tutorials video series. This series will help you to understand basics of programming by introducing data types, constants, and variables. Further we will learn in C coding about various operations that can be performed like arithmetic operations, relational operations, logical operations and bitwise operations. After completing these basic operations, we will master intermediate topics like while loops, do while loops, and for loops along with lots of conditional operations. Further in the advanced section of this online C tutorial, we will explore about functions, arrays, union, and structures in C programming language. If you have never coded before in your life, then C is a great point to start from. Basics of C programming language will help you to jump into lots of other languages, like C ++, Python, Ruby, or PHP. Mastering other languages becomes easy, once you have mastered C programming language. 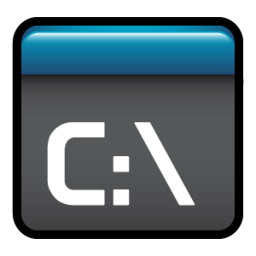 C is one of the most important of all programming languages. It is used to program desktop applications, compilers, tools and utilities and even hardware devices. C is a general-purpose programming language initially developed by Dennis Ritchie between 1969 and 1973 at AT&T Bell Labs. C is often used for "System Programming", including implementing operating systems and embedded system applications, due to a combination of desirable characteristics such as code portability and efficiency, ability to access specific hardware addresses, and low run-time demand on system resources. C can also be used for website programming using CGI as a "gateway" for information between the web application, the server, and the browser. Some reasons for choosing C over interpreted languages are its speed, stability, and near-universal availability. IGNEUS stands for the revolutionary and quality enhanced change that we’ve tried to come up with in the modern world of Internet education. We’ve come up bearing in mind the maximum emphasis on quality, dealing with every new technology, which has distinguished us from the Internet throng. And this revolution of choice will keep continuing. Today, IGNEUS Technologies has proudly lifted up the tag of being the world's most trusted provider of a myriad of services and training programs, aiding constantly in every corner of the globe along with web security aspects and open source technology.